The lines for the Uffizi Gallery usually snake all along the corridors and into the lane leading to the gallery from the Piazza della Signoria with its fake David. Not too far away, the throngs mill around and through the Firenze Duomo and the adjoining Giotto’s tower. Tour groups in every language, families and school kids on ‘culture’ trips, backpackers and the well-heeled jet-setters – you’ll find them all strewn in generous measures around Florence on a spring, summer or autumn day. Florence’s strong personality, its centuries of history, art and culture, can all sometimes seem to sink under or get shadowed by the scores of selfie sticks, colored umbrellas and loudspeakers. That’s not how I remembered Florence. 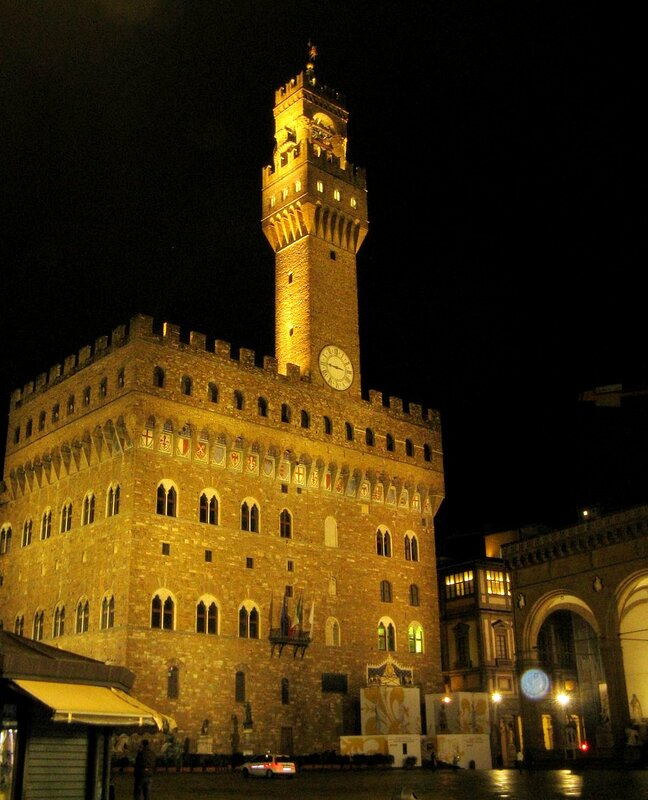 That wasn’t the Florence I fell in love with, on a soggy, deserted evening after a stormy November day. We were late to reach Florence – our plans for a day trip having been washed away by a surprise storm all around upper Italy, that snowed out the train tracks and messed up all train schedules for the day. After risking near-heartbreak by considering skipping the visit altogether, we decided to gulp down the 7-hour delay, and landed in Florence at 7 PM instead of noon. The museums had long closed, the tourists were never there in the off-season and even the locals had called it a night and shuttered down even before we got into town. As we roamed the empty streets, marvelling at the lit-up sights around town, I was filled with a mixed emotion of excitement and disappointment. Excitement at having found, what I thought was the most beautiful city in Europe; and disappointment, that I could only see it from the outside, in the dark. I came back, six years later to another Florence. 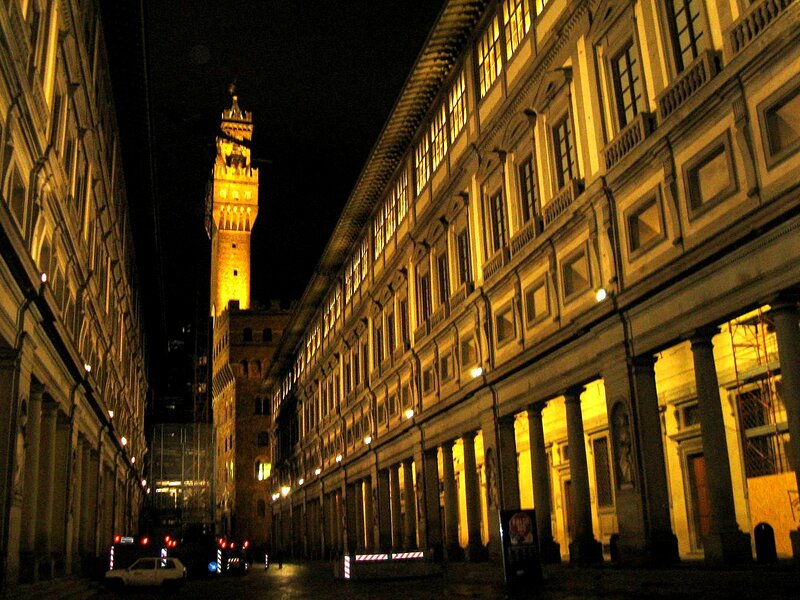 The Florence I saw now, wasn’t the Florence of that dark, rainy night. Where is your favourite place that you’ve been to in the “Off-Season”? I’d settle for any kind of look at this lovely city 🙂 Beautiful shots. There is something enchanting about having the streets all to yourself. I would love to see Florence like this. Enchanting – yes, that’s the word! You’ll have to wish for a cold, stormy day next time you’re there. 😉 I was a little disappointed when I saw the city the next time, in daylight with the throngs, honestly. Another place that’s a lot better by night is Venice.